What is an Injunction? How Does an Injunctive Relief Work? An injunction is an order by a court commanding or prohibiting action. An injunction usually is a court order demanding that one party stop doing something that is damaging to another party. For a complainant to receive an injunction, the complainant must show that no other remedy for the wrong is adequate or complete. When determining whether an injunction should be issued, the court must balance the need for an injunction against the ) rights of the other party to do business or carry out legal activities. The court may also consider the harm being done by the action (or inaction) of one of the parties and balance the rights and actions of both parties in making its decision. Injunctions come into play in business, real estate, and contract situations. Injunctions typically fall into three types, based on the length of time they are in force. Temporary injunctions, also called Temporary Restraining Orders (TROs), are court orders for someone to stop doing something for a period of time. In this case, they attempt to restrain someone from committing actions that could harm someone else. You may have heard of TRO's in a situation of domestic abuse, but they can be used in other types of situations. TRO's are often used to postpone a trustee's auction of a property when the property owner is behind on the mortgage. Preliminary injunctions are typically issues when a case is just beginning, to restrain one party from continuing an action that might injure the other party during the time the case is in process. These types of injunctions are commonly used, like a non-compete agreement (explained below). Permanent injunctions have no time limit. A permanent injunction is often a court ruling at the end of a trial. A permanent injunction might continue the terms of a preliminary judgment indefinitely. For example, a restriction on a non-compete agreement may be made permanent. Injunctive relief is a term used in contracts to describe that one of the parties may seek to stop the other party from doing something. A non-compete agreement, for example, may state that a seller may seek injunctive relief (that is, the party has the right to and will seek an injunction) against a suspected competitor. Injunctions are often used in non-compete situations where one party is or is believed to be violating the non-compete agreement and is thus damaging the other party. The complainant will attempt to get an injunction to stop the competitor from creating additional damage until the case can be heard. This type of injunction is sometimes referred to as a temporary injunction or a preliminary injunction. Here's how an injunction might work in the situation of a Joe has sold his plumbing business to Suzie the Plumber. He signed a non-compete agreement saying he would not solicit customers (old or new) or operate as a plumber within 10 miles of Suzie's business for 3 years. Suzie finds out that Joe has been working within the 10-mile limit. Because of the time it takes to sort out a non-compete, the damage to Suzie's new business is being done by Joe, unless she can stop him. While he has a right to continue to do business, he doesn't have the right to work in violation of the non-compete, so Suzie goes to court to get an injunction. Injunctions are used in bankruptcies, both business and personal, to stop creditors from trying to collect on debts during the bankruptcy process. 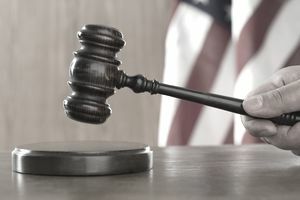 This particular type of injunction is called an automatic stay, which goes into effect as soon as the bankruptcy case is filed and continues until the discharge of debts. If a creditor wants to remove the automatic stay, it must petition the court. Injunctions are also common in copyright or patent violation situations, for the same reason - to prevent harm to the copyright or patent holder until the case can be heard. If you want a court to issue an injunction to stop someone from violating your copyright, you must first . It has suffered an irreparable injury. Legal remedies, such as monetary damages, are inadequate to compensate for the injury. The balance of the hardships between the parties support an injunction. Certain business people have specific fiduciary duties or duties of trust. Fiduciary means that these people have a duty to act responsibly based on their position. Members of a , for example, have fiduciary duties to act in the interest of the corporation. If a board member is buying stock without authority, an injunction may be necessary to stop the purchases. In real estate, , like taking earnest money and depositing it in an escrow account. If the real estate firm finds out that an agent is not making these deposits, it can place an injunction on the agent to prevent actions that could result in damage to the company. For more information, see this article on i from the Cornell University Law School's Legal Information Institute.